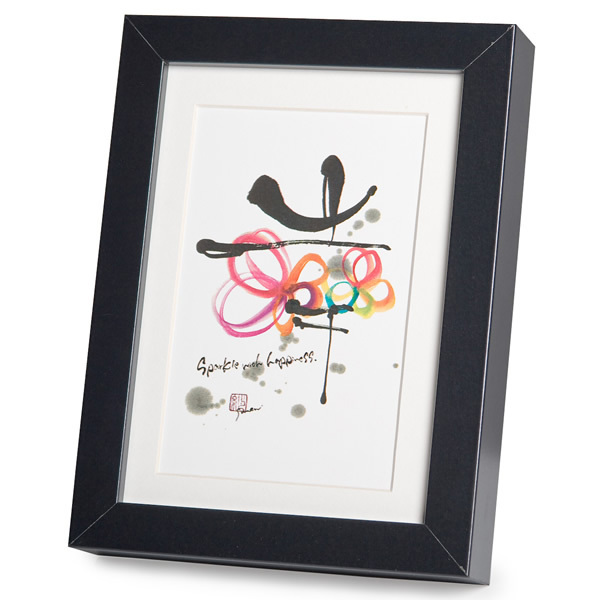 Sparkle With Happiness Black Frame A5 Japanese Print is a beautiful Japanese print from an original by the highly respected Japanese calligraphy artist, Saren Nagata, with a smart matt black frame. 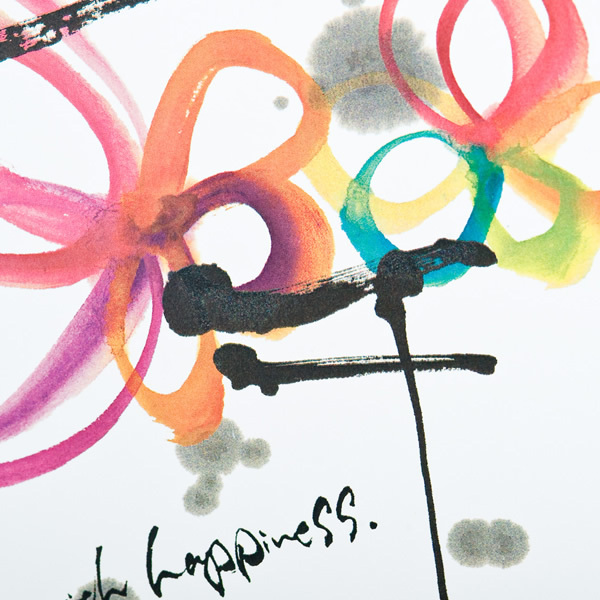 Exclusive to The Japanese Shop, this stylish Japanese print features the kanji character for happiness or shiawase, and the inscription reads sparkle with happiness! Saren skilfully combines classic Japanese kanji calligraphy with vibrant colours inspired by the beauty of flowers and her art is guaranteed to add a touch of Japanese style to any room! Size: A5 20.5cm x 15.5cm / 8 x 6 inches. Order your Sparkle With Happiness Black Frame A5 Japanese Print online today and have it gift wrapped free of charge, or visit our showroom for this and many more fantastic Japanese pictures!